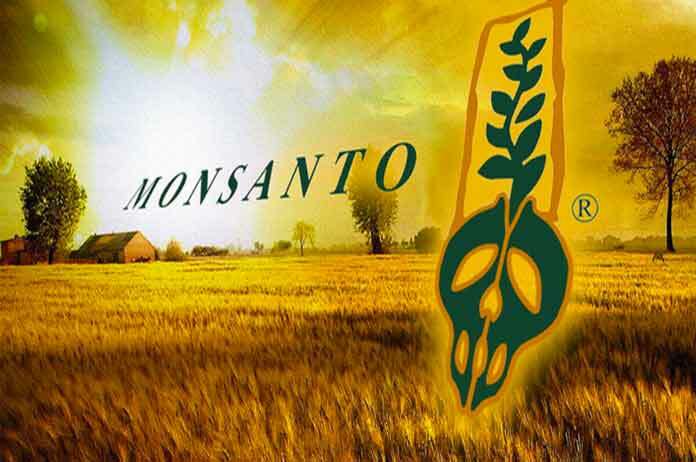 Here is a printable list of companies owned by Monsanto that consumers should avoid if they are concerned about their health. As for GMOs, many studies have suggested that genetically-modified food products can drastically alter the health of consumers in a negative way. The number of Americans with chronic illnesses has doubled since the mass production of GMOs began and animals given only a GMO diet have shown to develop organ damage, gastrointestinal and immune system disorders, accelerated aging, and infertility. GMOs have also show to cross-pollinate and last forever, meaning that the number of non-GMO products is decreasing and could ruin the health of future generations. If you wish to print this list, simply click on the list and choose “Print” from your browser’s menu (or press CTRL+P/CMD+P). 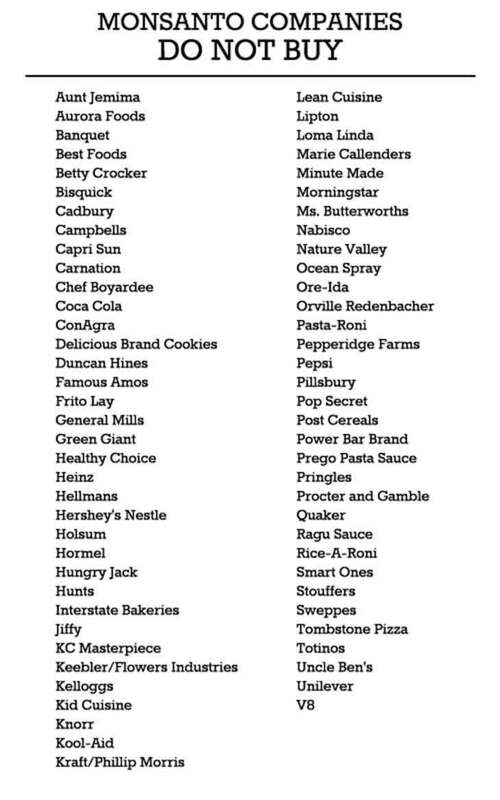 Avoid the following corporate brands because they contain GMOs. Thanks for the list. 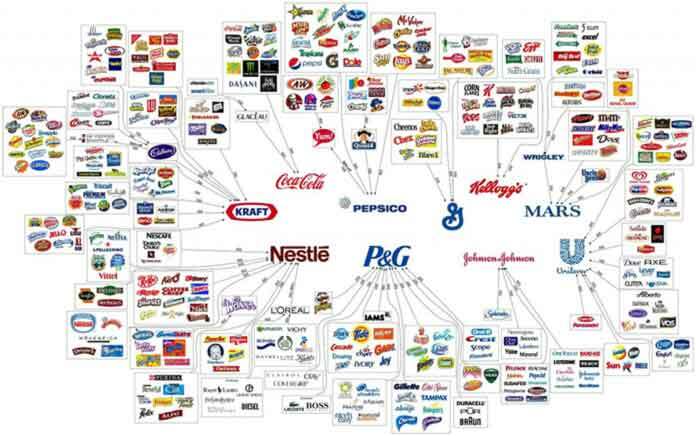 The chart showing the ten corporations that control almost everything we buy indicates that, like our government, we too are owned by the corporations. Wish it weren’t so, but you’re correct. Oh dear. I always feel so helpless when these types of things are revealed. What are we to do? Well, although it might seem hopeless, and completely can empathize with you as those were my sentiments in the past, there are solutions however. For me, part of the reason for changing my diet [which at the time didn’t even know HAD genetically modified foods] had to do with health. That’s how I went through the finding out of what’s healthier. Some of the solutions are eating products that are labelled Non-GMO and/or Organic for starters. That’s imperative. Not only did my health get better [suffered from inflammation for nigh a decade by having IBS et al] but lost weight too which was a pleasant surprise. Also, we [as a society] need to make sure not to support the corporations that are willing to put our health at risk for profits. That’s part of the reason Monsanto’s profits have declined considerably. In conjunction with that, organic foods have been growing at an immense rate for at least a decade or more. In fact, Costco recently is even beginning to partner with small farmers to make sure that there’s more food to grow because demand is so high for real food. Although the link above in and of itself might seem dismal, there are a lot of positive changes taking place. It’s just that we don’t tend to hear from them that often.